101 Week is the unforgettable first week of university where you will join your student association in a series of events and activities to get you acquainted with your campus, the city, your program and fellow students. Great news- you have really lucked out by choosing International Development, because you will be spending your 101 Week with the International Development and Globalization Student Association (DSA) and the most welcoming people on campus. International Development students are a rare breed- we are compassionate, friendly and energetic people and cannot wait to spend 101 Week together! This year our theme is Around the World in 8.0 DSA’s. It is modeled off of the classic novel and movie, Around the World in 80 Days, so try to check out the book/movie during the summer. Our theme represents adventure, exploration, energy, and dedication- all good things to have during 101 Week! 101 Week is truly for everyone! 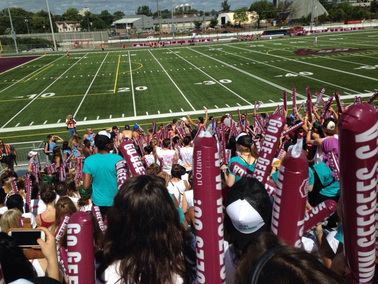 As uOttawa holds a ‘Wet’ 101 Week, there will be several events that are held in Hull/Gatineau and will allow drinking for students of ages 18 and up. The DSA is committed to making all events accessible for students of ages under 18, and therefore all 101-ers will be able to attend all of the events. In other words, students under 18 will not legally be allowed to drink at ‘Wet’ events, but can still attend and will definitely have still have a great time. Events are accessible to all students and every event is optional, although we encourage you to come to as many as possible. If there is anything you don’t feel comfortable doing/attending, you can always opt out of an event. To participate in 101 Week, you have to purchase a DSA 101 Week Kit. The price will be $70 and you can purchase it online, under our Kit Sales ﻿Tab, or in person when you arrive at the University. This Kit includes Swag, like your t-shirt ( which must be worn at all times during 101 Week), and passes to every event that occurs during 101 Week. 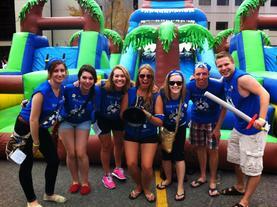 There are often also coupons and other surprises to make your first year at uOttawa awesome! Please note that Kits may sell out and it is important to buy yours as soon as possible. Kit Sales will begin in late June/ early July so please check back around that time, or email the VP Social for more information. If you have financial accessibility issues for 101 Week, please get in touch with the VP Social at social@aedsa.ca. VP Social: Your VP Social is an elected member of the DSA Executive and organizes/coordinates your 101 Week. She will be present all through the week to ensure that events go smoothly and that everyone is having the best possible time. Feel free to approach her at any time with questions, concerns, comments or ideas. Meet this year's VP Social, Becca Klaassen, front and center! Head Guide: Your Head Guide is a main contact point for you if you ever have any questions during 101 Week. She will always have a copy of the schedule and will know where you should be at all times. She is also there to hangout at all of the events. Meet this year's Head Guide, Jenny Sutton, with some 101-ers! DSA Guides: Your Guides are an amazing group of student volunteers that will lead you through activities and events throughout the week. Each Guide has been carefully chosen for their awesome qualities and experiences with DVM, and are all excited to pass down the wisdom and ways of the DSA and uOttawa. DSA Exec: Each year, the Development Student Association holds elections for 6 executive positions and later interviews for 4 appointed directorship positions, with the possibility of special directors ( we have one special director this year). These people work every day to meet the needs of Development Students through both social and academic event planning, organization of DVM concerns and ideas, and overall ensuring the best possible student experience. The DSA Exec will be present as Guides during 101 Week and will have black “Exec” headbands so you can spot them easily. These people will have the answer to all of your 101 Week or DVM related questions. Approach them for anything! 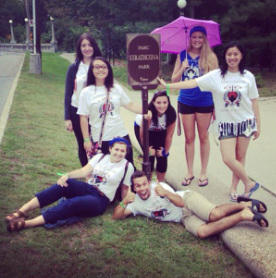 They are particularly great people to approach if you want to know how to get involved on campus and with DVM. Feel free to learn more about your Exec by checking out the bios on our website. DVM: International Development and Globalization- your awesome program- yay, great choice! DSA: International Development and Globalization Student Association- the best association on campus and home to the most lovely people! 101 Week: Week of events from August 30- September 6. 101-er: This is you! Any first year student who purchases a 101 Week Kit is a 101-er.